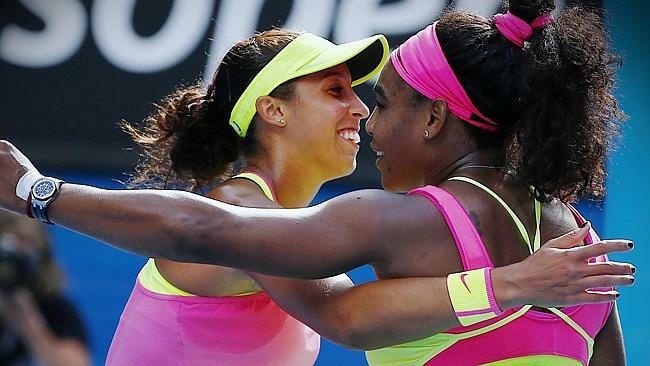 Their game ended in a friendly warm big/small sister hug, that made for one of AO 2015 moments. Meanwhile earlier on, Maria Sharapova, the most photographed woman in female tennis and world No. 2, won fellow country woman Ekaterina Makarova in straight sets 6-3 6-2 to reach Saturday’s finals against Serena Williams.The last time Shazza beat the American was in 2004, on their first encounter in Wimbledon finals and later that year in the WTA Tour Championships. Ever since, Shazza has been no match to the American, who won the Russian in their next 14 encounters, making a record win of 16:2 against her. Tomas Berdych broke a 17-0 winning streak against Rafael Nadal on Tuesday, winning the Spaniard for the first time in 18 encounters. 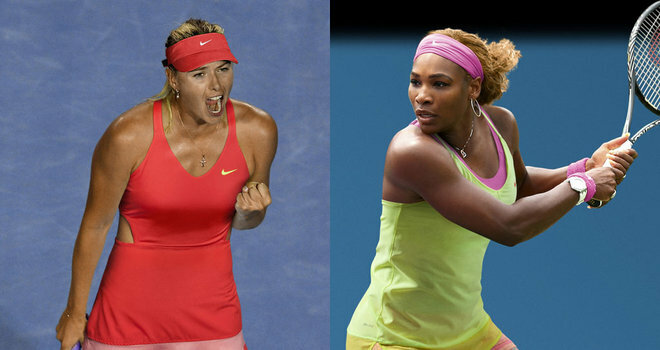 Can we look out for the same with Maria; is it time for her to break the 14 successive hold La Williams has on her? Watch out for the Finals on Saturday in Melbourne Parks, with both women fighting to hold the number one spot and Serena hoping to clinch her number 19 Grand Slam title. Andy Murray wins Tomas Berdych 6-7(6) 6-0 6-3 7-5 to qualify for his fourth Australian Open finals. After the match, the Scot went on to say “to be in the final four times here, I mean, because I’m surrounded by guys like Roger, Novak and Rafa, doesn’t look like much, but that doesn’t happen that often. So I’m very proud of that.” He faces either Novak Djokovic or Stan Wawrinka who have their semi-finals showdown on Friday night. Posted on January 29, 2015, in Sports and tagged ATP, Australian Open, Serena, Sharapova, Tennis, WTA. Bookmark the permalink. 2 Comments. Poor Sharapova, she’ll loose yet again.